The 'Spider-Man' actor has had a lawsuit filed against him by a group of investors who claim hedge fund manager Bradley Ruderman - who lost $25 million of investor money and is currently sentenced to 10 years in prison - squandered $300,000 of their money to Tobey during the games. The suit stated: "As part of the scheme, funds invested in [Ruderman] were transferred to persons such as Defendant [Maguire] who received the funds on account of Ruderman's gambling losses and on account of Defendant's gambling winnings." The 35-year-old star is "not entitled to receive the transfers from the Debtor, which transfers were [comprised] of improperly-diverted investor funds". Lawyers in the case claim because the games were not licensed in the state of California, Tobey's winnings should be recouped. Leonardo DiCaprio, Matt Damon and Ben Affleck are among the other celebrities reported to have taken part in the poker games, but they are not being sued. Bradley is currently in prison in Texas and is not due to be released until 2018. 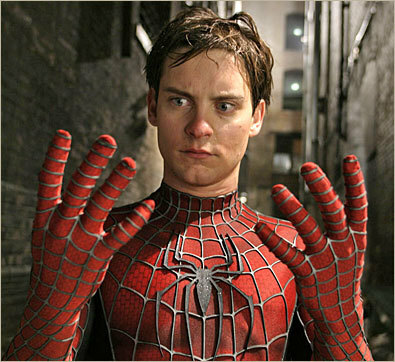 Tobey's representative has yet to comment on the claims.